Leandro Margulis grew up surrounded by Jewish community in Buenos Aires. He went to Jewish day school, celebrated holidays with youth group friends and played sports at Jewish youth clubs. So when the budding engineer needed to choose a high school, he knew ORT’s Almagro Technical High School—he calls it “the MIT of high schools in Argentina”—was the right choice. 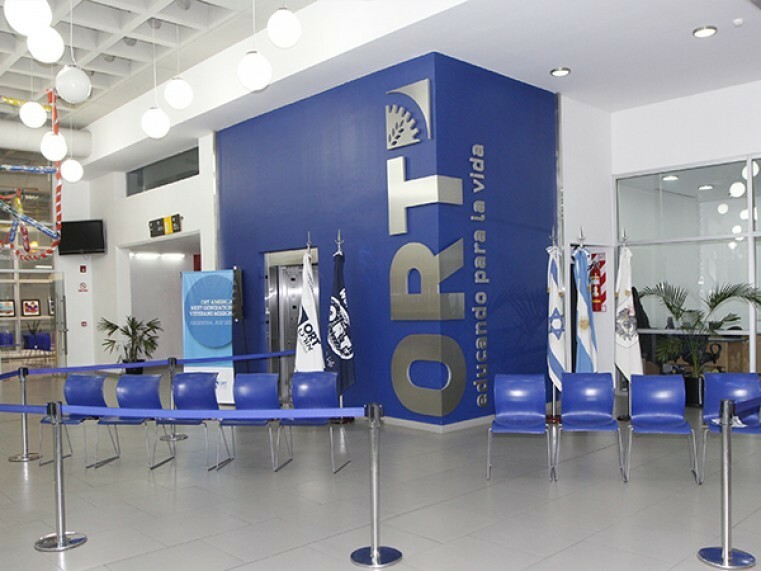 What Leandro didn’t realize was that he was joining a strong global community of ORT alumni and supporters that would provide a lifelong network of support for him across four continents. In his six years at the ORT school, Leandro earned a high school diploma as well as the equivalent of an associate’s degree in computer science. During those years, though, he wanted to do more than just sit at a desk. So he got involved in school projects that connected him with the Jewish community, like interviewing Holocaust survivors and immigrants for an oral history archive. Later, he joined a delegation of Argentinian and Israeli ORT students on a Jewish solidarity trip to Poland and Israel. “That was my first exposure to ORT being something bigger than just my school,” he said. That international network has continued to play in an integral role in Leandro’s life. When he came alone to the U.S. for college, he found a support network in his local ORT chapter. He quickly began organizing events for the group and forging strong relationships that helped him adjust to the U.S.—and even led to his current tech job. When he’s not working, the 30-year-old connects young ORT graduates and backers at Shabbat dinners and community service events. Last year, Leandro chaired an ORT mission to Argentina from America that raised funds for his alma mater—and he can’t wait to do more.